“We rented from a home from Rooftop for a couple of years when we moved to the area. Because of the thoroughness and attention to detail I saw from a tenant perspective upon our move out we plan on having Rooftop manage the rental properties we want to purchase someday. No one takes better care of their properties than Rooftop.” — CAROLYN R.
While our extensive screening process reduces lease violations and damages, we keep a close eye on your property to ensure it is being maintained. We drive by all properties weekly, and if we have any reason to believe the property is not being cared for we will conduct an inspection of the property. 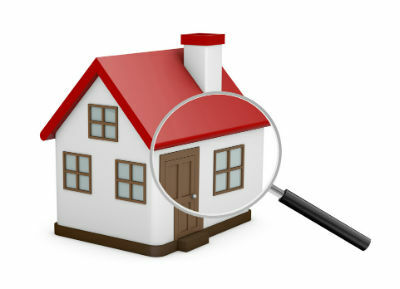 Our vendors are also trained to detect any potential problems with the property. If we have reason to inspect the interior of a rented property, we will do so with respect to tenants. Other companies may charge a fee for additional inspections—we do all this at no additional charge to you. We always conduct thorough inspections upon move-out, and tenants are provided with a white-glove checklist upon move-in and move-out with clear expectations regarding the condition the unit must be in to receive back their deposit. Our property owners have the option of participating in our Eviction Fee Retainer program. The cost is just $5 per month per unit and covers the expense of our experienced eviction lawyer. It essentially serves as “eviction insurance.” If you evict only one person every eight years this program will save you money. This allows us to be proactive with evictions, saving you time and money since we don’t have to worry about incurring those costs and then having tenants pay the next day. If rent is not received by the 5th of each month, tenants are contacted between the 6th and 10th via phone inquiring about payment arrangements. If no response is made by the 10th, we post a three-day notice to vacate on the property’s door and by mail. fter an eviction, the deposit is applied to any outstanding balance, then to costs incurred in preparing the property to re-rent and then to rent. Any remaining balance is applied to late fees. If a balance remains, we will make every reasonable effort to collect past due rent. If this is not successful, the matter is turned over to a collection agency. We understand this is a business and is not a charity. We use standard practices to ensure quick and complete payment after an eviction.